We are creatures of habit. We will order from the same pizza, Thai and Indian eateries every time. It’s not that we are unadventurous, we just don’t order often enough to risk it being crap. Sometimes we walk to the fish and chip shop (although that’s not really relevant to this sign). Please save a tree and move on. 2) Cab cards. These are like business cards for cab companies. They are small, thin, shiny and a bugger to pick up if you have sausage fingers and bite your nails. I fall into both of these categories and will often be seen, and laughed at, by my neighbours with my hand stuck in the letter box. Some choice phrases will often accompany this activity. 3) Dear homeowner. These are relatively new ones on us. 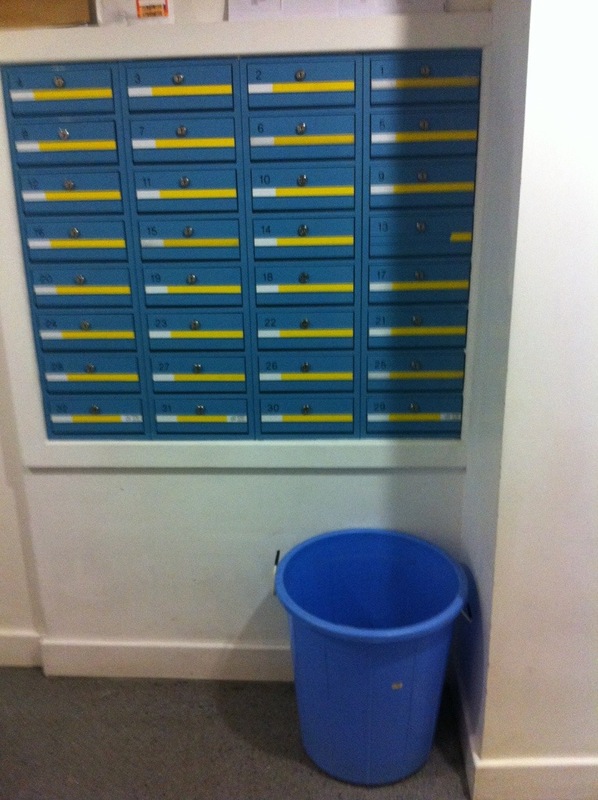 It’s a letter that tells us that they have someone lined up to buy our flat. The bit I don’t get is why they wouldn’t ask us first and then go out looking for prospective buyers. It would be like me painting a picture portrait of you and then asking if you if you would like to buy it. Of course I know they are lying to me but I do find myself tempted to phone them and ask them for a) the name of the agent (estate not secret) who has been staking out my home b)ask them who he has been showing it to and c) why I haven’t seen him while doing my counter intelligence surveillance? 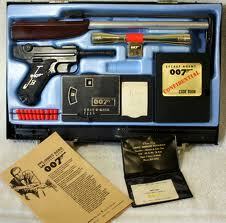 I could even try to bill them for my James Bond spy kit. This is on top of all the regular rubbish that comes through our door. My bank seems to be desperate for me to take a loan, companies I used once in 2007 think I might still want to be a customer, credit card companies pre approve me for 10,000 on a regular basis and British gas still ask if I want to go to their AGM even though my shares are worth about as much as a happy meal. Yep, all in all I think I throw away more than I read. I suppose that maybe, just maybe, I might need a mini cab or my favourite restaurant might shut down or I might decide to sell up. I would hope though that, being the awkward bugger I am, I wouldn’t use any company that has put a leaflet through my door out of pure two finger salutedness. A big up yours, if you will, to those who would like to influence my decision making process. Next week I shall attempt to tackle virtual junk mail without swearing. Until then enjoy your weekend.